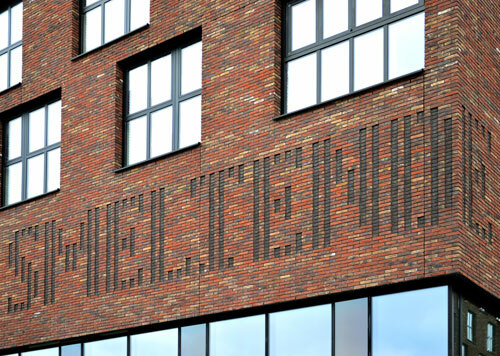 The site-specific artwork 'Melodie' by Martijn Sandberg, is an integral part of the masonry of the residential block Couperus, Ypenburg, Den Haag. 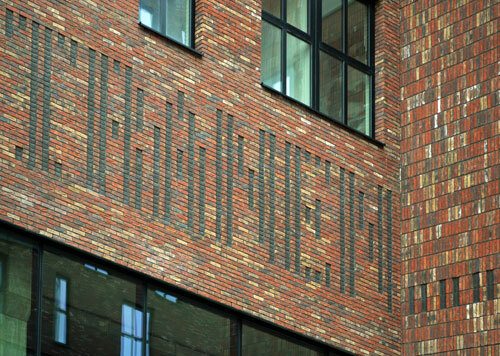 The stanza from Louis Couperus' poem 'Melodie' (1886) is incorporated into the vertical and horizontal brick pattern of the façade, in dark coloured bricks in deep relief. 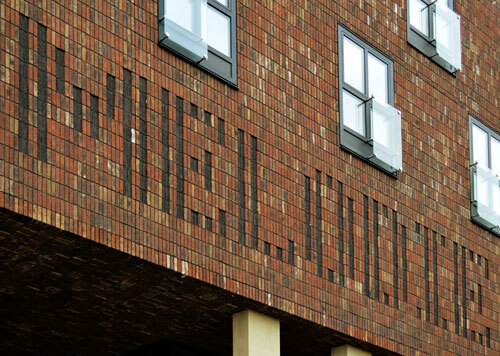 The text in the brick letter typeface, designed by Martijn Sandberg, covers the entire circumference of the building in length. Scroll down tot view photos. 'Melodie' ('Melody'), 2013. 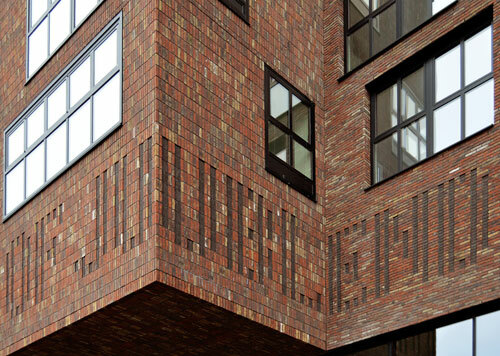 Masonry brick letters, Martijn Sandberg. 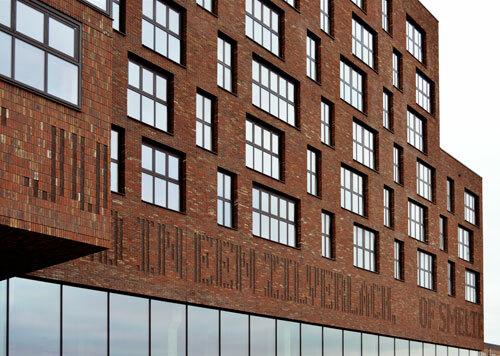 Couperus, Ypenburg, Den Haag/ NL.